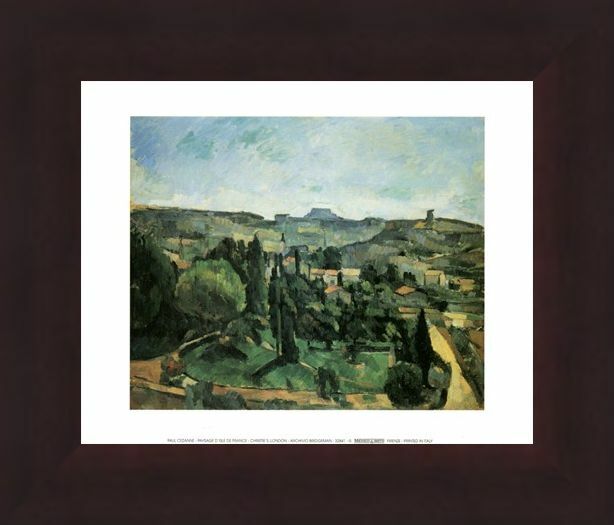 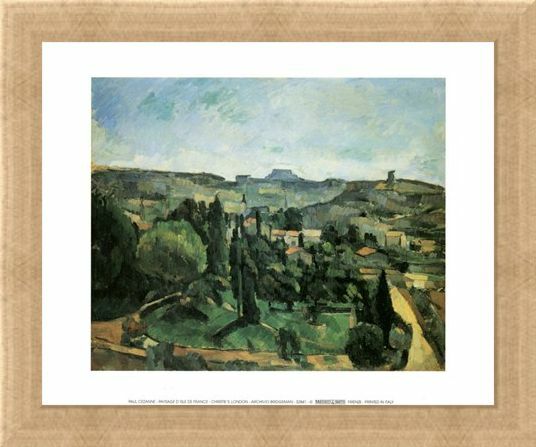 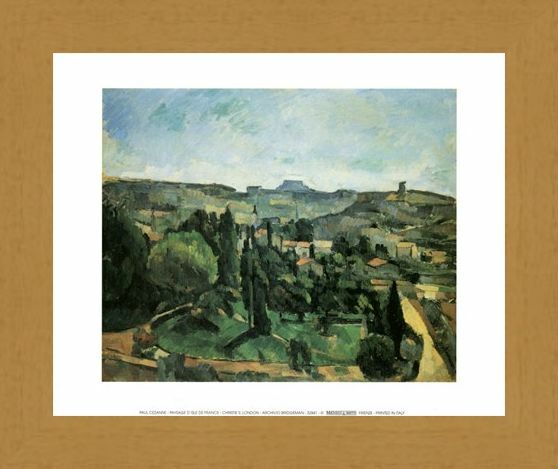 Art Print: Heart-warming and enchanting, this stunning painting from artist Paul Cezanne is sure to bring some French charm into your home. 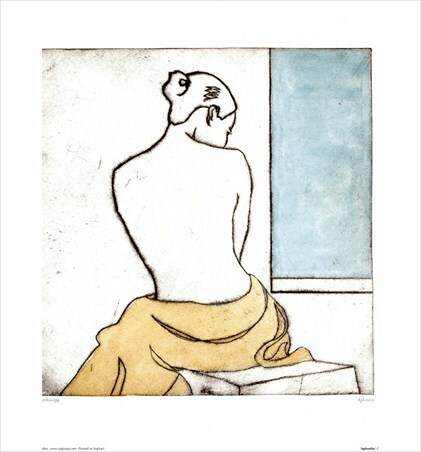 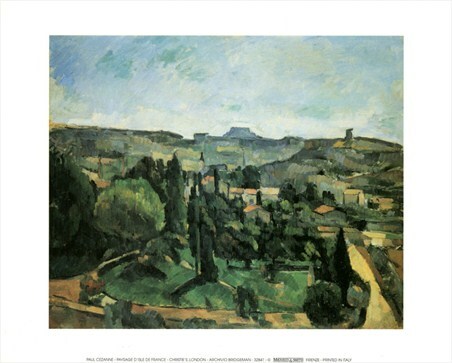 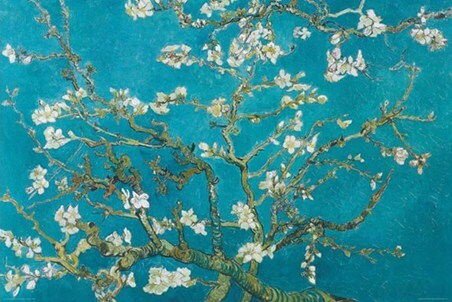 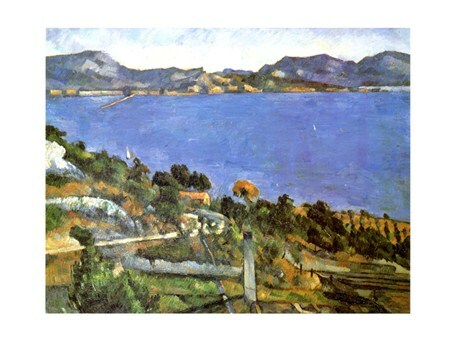 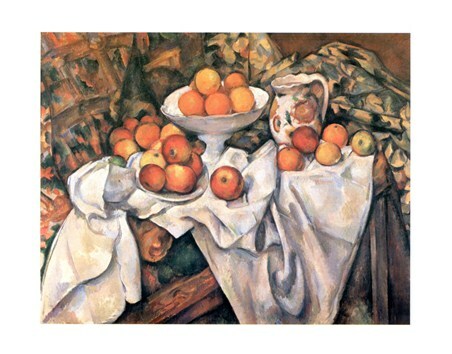 It is often stated that Cezanne formed the bridge between the artwork of the 19th century to that of the 20th with his unique style and huge influence on other artists such as Picasso and Matisse. This charming painting, entitled, 'Paysage D'Isle de France' captures Cezannes unique style beautifully, highlighting his excellent use of design, colour and tone. Welcome the warmth and vibrancy of this print into your home and you are sure to discover the true charm of Paul Cezannes artwork. 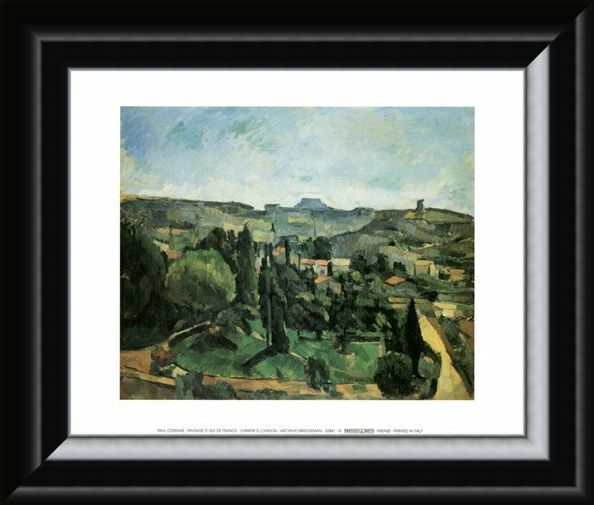 High quality, framed Paysage D'Isle de France, Paul Cezanne mini print with a bespoke frame by our custom framing service.